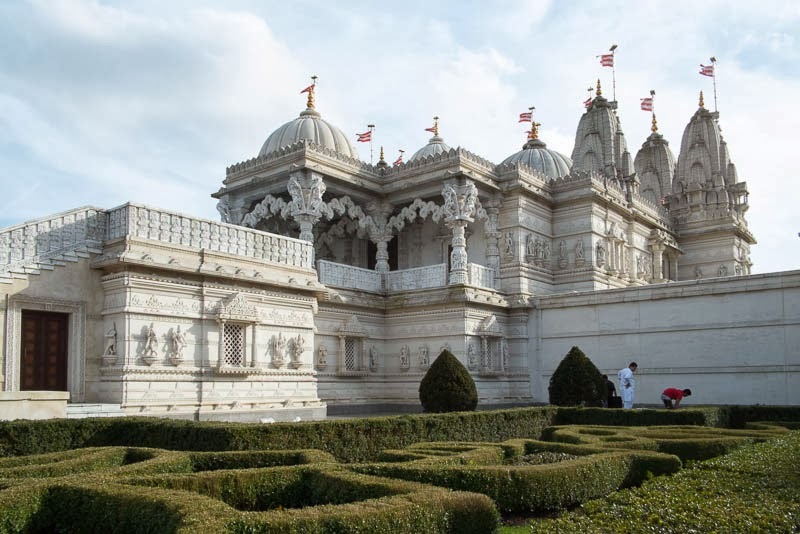 Towering in all its marble glory the traditional Hindu temple sits among red brick houses in the borough of Neasden (northwest London). The story behind the building the temple is equally amazing, 5,000 tons of Italian marble and Bulgarian limestone were shipped to India where they were hand carved by skilled artisans and then like giant blocks of lego it was shipped to London where hundreds of volunteers assembled it piece by piece. The official opening was in 1995. It looks like a fairytale building. Where dit all the money came from?? Absolutely gorgeous! Thank you Mo. What an amazing site this is! Beautiful. Definitely a must-visit place in my next visit ti London. Lovely! Wow! This is quite a place. Wow! What a spectacular temple and what a cool story! Looks like great STYLE, both the building and the garden. There are so many things to do in London. Checking out the British Museum, Natural History Museum, Victoria and Albert Museum, and many more. But finding the Cheapest Hotels in London is a bit tricky. You need to search the best hotel in the heart of the city.